14 blade spokes in the front wheel and 21 blade spokes in the rear wheel. 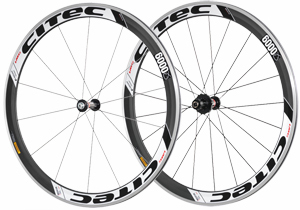 This weight optimised Carbon-Aluminium Composite rim for clinchers features 47 mm depth. Good aerodynamic properties! 16 blade spokes in the front wheel and 21 blade spokes in the rear wheel. 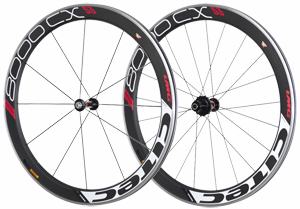 This Carbon rim for tubulars features 50 mm depth and aluminium braking surface. 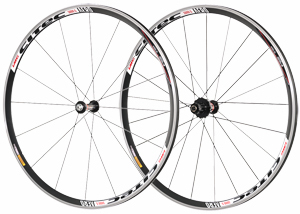 Very good aerodynamic properties for this top end racing wheel set! 12 spokes in the front wheel and 21 spokes in the rear wheel. 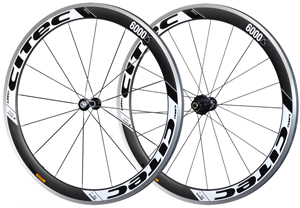 New optimised Carbon-Aluminium Composite rim for clinchers with 53 mm depth. Good aerodynamics!